Brock Osweiler didn’t want the job, then eventually proved he wasn’t ready for it anyway. Trevor Siemian wasn’t ever supposed to have it, but the Broncos didn’t have a choice. Paxton Lynch arrived in Denver to fanfare, but the team heard only air slowly squeaking its way out of a deflating balloon. The Broncos’ efforts to find Peyton Manning‘s successor — their ‘quarterback of the future’ — have ended up looking like Saints corner Marcus Williams trying to break up Stefon Diggs’ instantly legendary touchdown catch for the Vikings: maximum effort… with the completely wrong idea in mind. It’s never easy to replace a Hall-of-Fame quarterback; something the Broncos know better than any other NFL franchise. After all, only two quarterbacks in history have won the Super Bowl and immediately called it quits: Manning, and John Elway, still the face of the Broncos after all of these years — and the man in charge of finding who the franchise hopes is their next great quarterback. Elway’s 0-for-2 thus far, after swinging and missing on Osweiler and Lynch. To be fair, it’s not easy; half the teams in the league need upgrades at quarterback, and they’ve all tried. 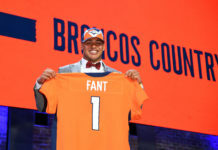 But in Elway’s case, he’s made the exact same mistake twice — taking a tall, athletic thrower from spread offenses in college, and expecting them to be able to convert themselves into top-tier NFL players. The problem behind that reasoning is simple: great athletes don’t make good quarterbacks — diligent players who care deeply about succeeding do… whether they’re great athletes or not. Consider Manning, New England’s Tom Brady and New Orleans’ Drew Brees. The three men have dominated every passing statistic in the last decade, and not one of them stacks up as a Cam Newton-type of athlete — not even close. But they share the same traits: an almost manic dedication to study and a desire to improve on a daily basis. That’s one the reasons why Washington’s Kirk Cousins will be the most coveted free agent available, if Washington is foolish enough to let him go — and it’s why Denver will almost certainly pursue him with gusto. Cousins’ all-encompassing approach to self-improvement includes his own cubicle at team headquarters, one where he can sit down, watch hours of game video, and take copious notes. He’s not a top athlete, but he takes care of his body. Cousins may never reach the lofty heights of Manning, Brady or Brees, but he certainly won’t be a bust, either. The high-floor nature of a Cousins signing makes his pursuit a no-brainer for the desperate Broncos. However, the Broncos have to consider the possibility that (a) Washington will franchise tag Cousins to a $34 million deal for 2018, or (b) they won’t be able to outbid every other team for his services. So what’s the backup plan? There appear to be two. The least desirable scenario of those two is that the Broncos draft a project quarterback in the second or third day of the draft, like Louisville’s Lamar Jackson (the 2016 Heisman Trophy winner), Oklahoma State’s Mason Rudolph, or Washington State’s Luke Falk — and throw Lynch back out there in 2018 as a last-ditch, sink-or-swim proposition. You’re forgiven if you cringed while reading that last paragraph. The best (and cheapest) non-Cousins option is the man that the Broncos’ coaching staff will get hands-on time with at the Senior Bowl: 2017 Heisman Trophy winner Baker Mayfield of Oklahoma. The Broncos are intrigued enough by Mayfield’s fire, moxie and unquestionable will to improve that they requested that he be added to the team they’ll be coaching. It’s a telling sneak peek, and given their draft position, one that’s safe to expose. Neither USC’s Sam Darnold nor UCLA’s Josh Rosen is expected to last to No. 5, though one should expect the Broncos to do their due diligence on both in case a mini-Aaron Rodgers situation materializes and either falls into Denver’s lap. At this stage, however, there’s no reason to expect that either will last beyond No. 3. Wyoming’s Josh Allen has been bandied about as a fit for the Broncos, and the fact that they don’t seem all that interested is a terrific sign for fans. Allen, a tall, athletic thrower who thrived in an offense that doesn’t exist at the NFL level, is another Lynch, another Osweiler. Maybe he’ll turn out to be far better than either, but Elway and Broncos have gone into that tunnel twice before… only to be run over by an oncoming train. Were the Broncos to pursue Allen, it would suggest that they haven’t learned anything at all. Those are the stats of a self-made man; one that has taken the time and effort to craft himself into an elite player — in other words, the kind of quarterback that succeeds in the NFL. Mayfield isn’t a sure thing; he can be a bit of a hothead at times, and he’s had youthful indiscretions that shouldn’t be glossed over. But he’s also a leader and a winner. He cares. 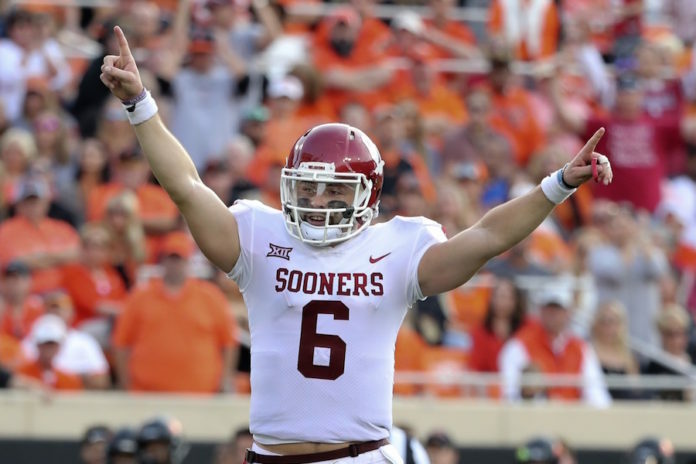 The Broncos could draft Mayfield at No. 5, immediately make him their starter, and live with the inevitable growing pains, all while keeping Lynch around as a backup, just in case the lights come on. Drafting Mayfield is not the fastest route to the postseason in 2018; signing Cousins is — but that’s not entirely in the Broncos’ control. Drafting Mayfield is. 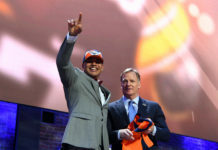 Elway famously said, “there is no Plan B,” but he’s seemed to have learned his lesson since then. Plan “B” is for Baker. And it’s realistically the best one the Broncos have.